Against the backdrop of political divisiveness and acrimony in our society, our beloved Mariachi Huenachi program continues to bring together people from all walks of life and all political stripes to share in music and culture. The students are building bridges and relationships. They represent the best of what it means to be citizens of this country. 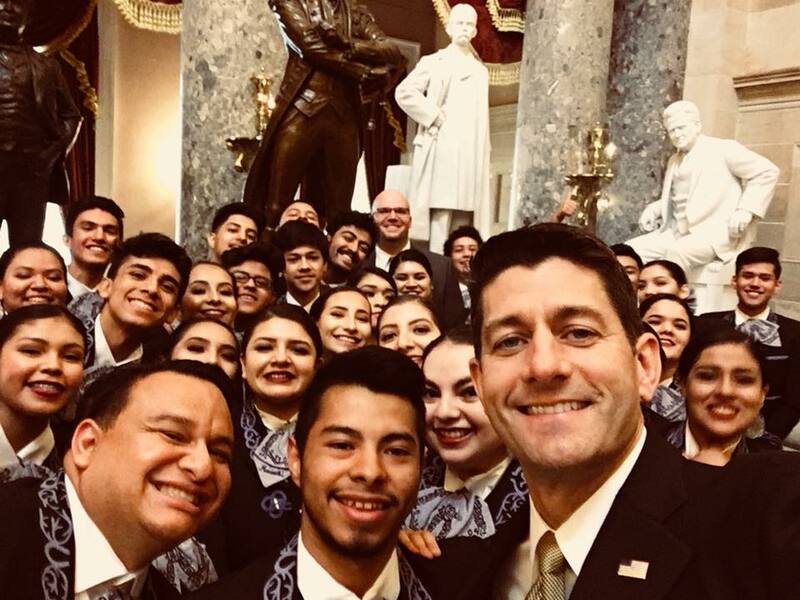 Last fall, the Wenatchee School District group had the honor of visiting Washington, D.C., for Hispanic Heritage Month at the invitation of Speaker Paul Ryan and Rep. Dave Reichert. 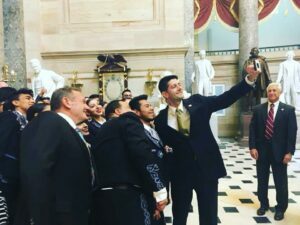 Ryan took a selfie with members of the group, shook hands with each student, and told them that he had heard wonderful things about their musical and academic contributions. Mariachi Huenachi Director Ramon Rivera said it was a thrill to meet with a person of Ryan’s stature. Rivera came to my office with two of his outstanding students, seniors Pilar Cuevas and Kelly Madrigal for an interview that can be heard on my podcast, the Art of Community NCW. Cuevas and Madrigal are confident, accomplished young leaders. 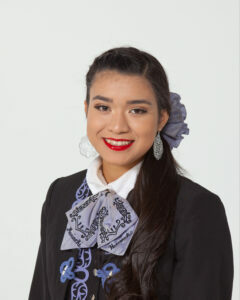 Cuevas is the president of the group, has been accepted at four universities and she participates on the Latino Council for the Numerica Performing Arts Center. Madrigal, a single mother of a 2-year-old, told me she was concerned that she might not be able to continue performing with the group following her pregnancy. She said Rivera told her “you can make it,” and she stuck with the program. Madrigal said the group has helped her find her identity and a sense of belonging. 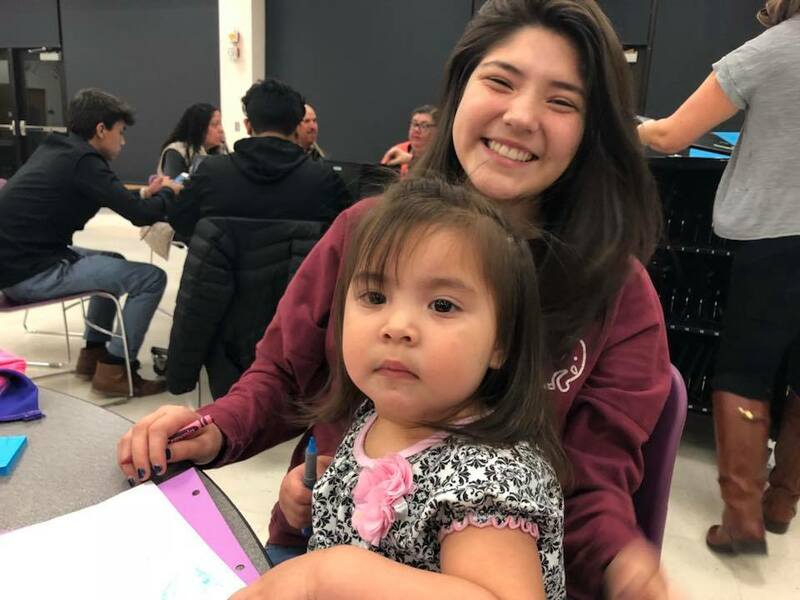 Cuevas will graduate from Wenatchee High School and Wenatchee Valley College this spring. She has been accepted to four universities. Because of the political environment involving immigration, the Deferred Action for Childhood Arrivals and other political issues, the decision to go to the Capitol was somewhat controversial, Rivera acknowledged. People were concerned how the kids might be treated, but Rivera and his students said they were greeted warmly and treated royally by people from both parties. They saw dozens of historic sites, from the Lincoln Memorial to the Holocaust Memorial. While the political environment is toxic, “we’re not about that,” said Rivera. “We’re about music, culture and art. “We can use that culture and art to convince people that we are smart, we are intelligent, and we are changing the world. Music is always the thing that brings people together,” Rivera added. Mariachi Heunachi performs for anybody — Republicans, Democrats, independents. They’ll play for Democratic Gov. Jay Inslee in coming weeks and they played for new Seattle Mayor Jenny Durkan’s inauguration in late November. We would benefit by paying attention to the lessons that the students and director of Mariachi Huenachi can teach us about living as community members and treating everyone with respect and honor. What makes the program so powerful is how Rivera encourages and supports the development of the 300 Mariachi students in the district. It’s all about building young leaders, opening doors to higher education, and making sure the program is for everyone who is interested, not just Latino students. Is it any wonder that this group a few years ago won the Golden Apple Award — the highest educational honor in the state? Is it any surprise that Rivera was a Jefferson Award winner, the state’s highest honor for community service? The honors just keep on coming. Last year, they were one of six programs to receive the Radio Disney Award — the Grammy for high schools. 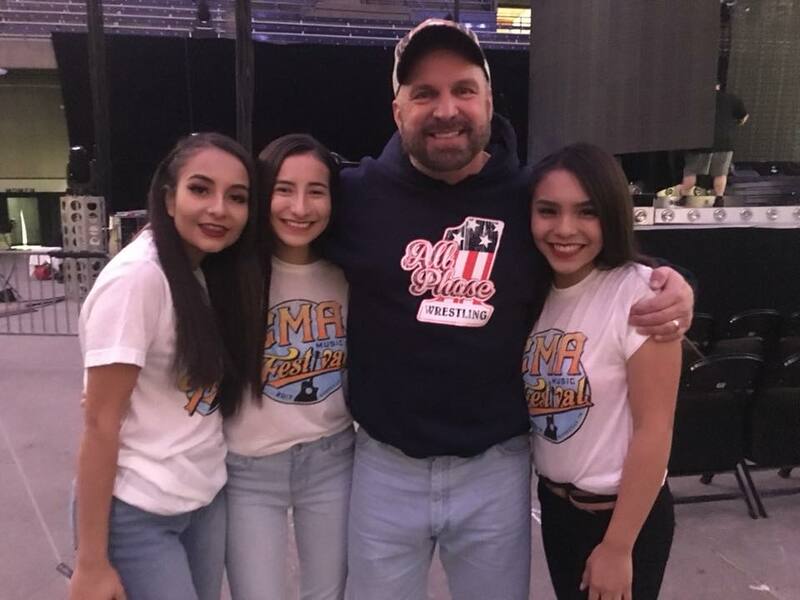 They have played for Garth Brooks and Tricia Yearwood, performed with five-time Grammy Award winner Marco Antonio Solis, to name just a few of their experiences. The Country Music Association has invited the group to perform at the Grand Ole Opry in Nashville, Tennessee, next fall. Virtually all of the students graduate and go to college and they are exceptional role models as performers. Mariachi Huenachi is a remarkable movement that is enhancing our communities and showing us how we can live together with our differences. 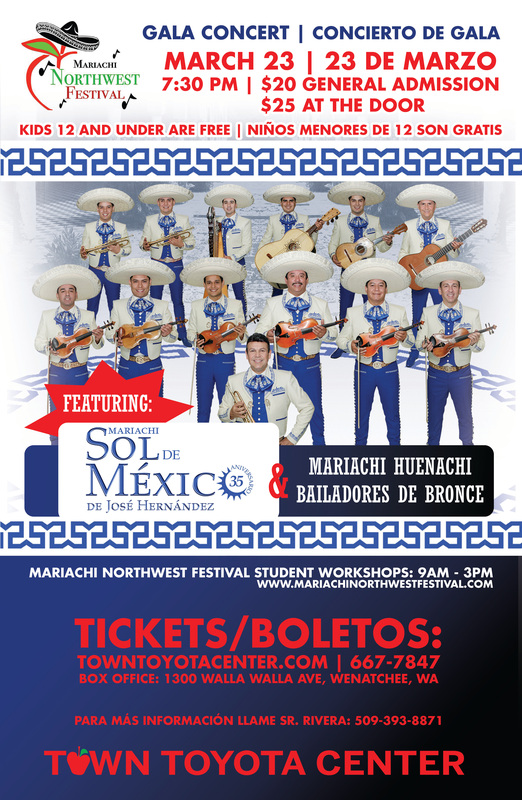 We will have a wonderful opportunity to honor this program, the students and Rivera when the 20th annual Mariachi Northwest Festival happens on March 23 at the Town Toyota Center. Mariachi Huenachi founder Mark Fogelquist and his successor Juan Manuel Cortez will be honored at the concert. It should be a heck of a party. The program is an antidote to our fractured social climate. Next story Can we find a sense of humanity, grace dealing with the dispossessed and demonized? Previous story Podcast episode 36: Mariachi Huenachi and music as the antidote to our civil strife.